98% of sickle cell anemia victims identify as black or having African descent. Sickle Cell Anemia is an auto immune disease which is inherited through the genes, central power or “cell brain” of every living cell. These “cell brains” directly affect and determine physical characteristics and traits in a person’s body. Since this disease is inherited at birth, its agonizing symptoms and pain begin early in childhood. Oddly enough, most Black people are unaware of the existence of Sickle Cell Disease. Hospitals didn’t have clinical facilities for automatic screening of patients for sickle cell anemia or its traits. The test had to be requested by a doctor before it was given. Because there wasn’t much public information about sickle cell anemia and general lack of concern shown for diseases that affect black people, the majority of black remained unaware of the existence of such a disease as Sickle Cell Anemia and its deadly effects. 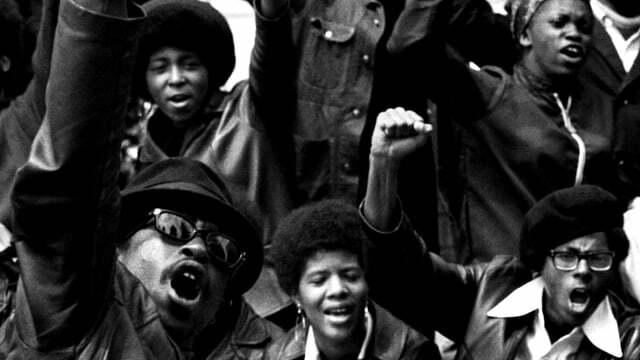 The Black Panther Party presented its findings to the people in the April 10th, 1971, issue of their own newspaper, in an article entitled, “Black Genocide – Sickle Cell Anemia,” in an attempt to inform black people about the existence of the disease and inform African Americans about the dangers of Sickle Cell Anemia. The Black Panther Party knew that this wasn’t enough by itself. They began testing people for sickle cell anemia and the sickle cell trait, through free health care centers throughout their various chapters and branches throughout the United States of America. The Illinois Chapter of the Black Panther Party began administering blood tests on May 12th of 1971, at William Penn Elementary School in Chicago, which had fifteen hundred pupils, all of whom were black. The tests were conducted by the doctors, nurses, technicians and trained community people from the Spurgeon “Jake” Winters People’s Free Health Care Center. Roughly, 200 children were tested daily. The parents were very happy about the movement and that finally someone was doing something to safeguard the health of their children. Even the principal of the school welcomed the program with open arms and said that it was needed. Assistant Professor of Medicine and Psychiatry at the Chicago school of medicine, Dr. Eric Kast, said that this was the first known program of its kind in the country. It was established that every Black person should have this test because it was hereditary. Even though the person may not have the disease, they could be a carrier of the sickle cell trait, which we now understand comes with its own side effects. This was not known about the disease during that time. Carriers of the trait, even if they are unaffected by it, can still pass the trait to their offspring. If both parents have the trait, there is a 25% chance that their child will inherit sickle cell anemia. Dr. Richard A. Goldsby, a Black geneticist of Yale University has charged that U.S. public health agencies have neglected their obligation to the People by not requiring such tests, particularly of Black people who are about to get married, since most States require a blood test in order to obtain a marriage license. Sickle Cell was once a crippling, painful disease, that killed most of its victims at that time before they turned 30. Thanks to advanced technology, the disease is not as crippling as it once was. Even in some cases, permanent paralysis results from Sickle Cell Anemia. The Black Panther Party has threatened that the lack of effort to fight against sickle cell anemia was the result of direct racist and genocidal policies of US government. For example, Dr. Robert Scott of the Medical College of Virginia Health Sciences Center estimated that for that year, there would be over 1,555 new cases of sickle cell anemia, and only 1206 cases of cystic fibrosis, and 813 of muscular dystrophy. However, the next year, 1968, $7.9 million was raised to study muscular dystrophy and its causes; $1.9 million dollars was raised for Cystic Fibrosis and a mere 100 thousand dollars for sickle cell anemia, which validated the Black Panther Party’s claim about using Sickle Cell Anemia as a Platform to kill of Black people. The Black Panther Party advocated during more to cure the Sickle Cell Disease and this idea became apart of viral political campaign in which politicians promised that if they were elected, they would find a cure for the disease. This was undoubtedly a way to get black votes. New slogans popped up all over the place about getting rid of the Sickle Cell Disease for good in the 70’s. Sadly enough, once elections were already won, the rave about treating and curing Sickle Cell Disease died in the wind. Soon it was all forgotten about and nothing was done to stop Sickle Cell Disease from becoming more widespread. Compelling statistics have proven that out of every four hundred Black people that have Sickle Cell Anemia, over two million people possess the trait. These figures were inaccurate and higher due to the fact that there wasn’t testing for the trait or disease. In a three day testing period, May 12th, – May 14th, approximately 600 children were tested. 27 of those children had the sickle cell trait. Further tests were done to establish how many of those 27 children actually had the disease. That test alone proved more than double of the percentage that was actually guessed using statistics. The Black Panther Party noted that research of Sickle Cell Anemia would hinder the plan of Black genocide in America. 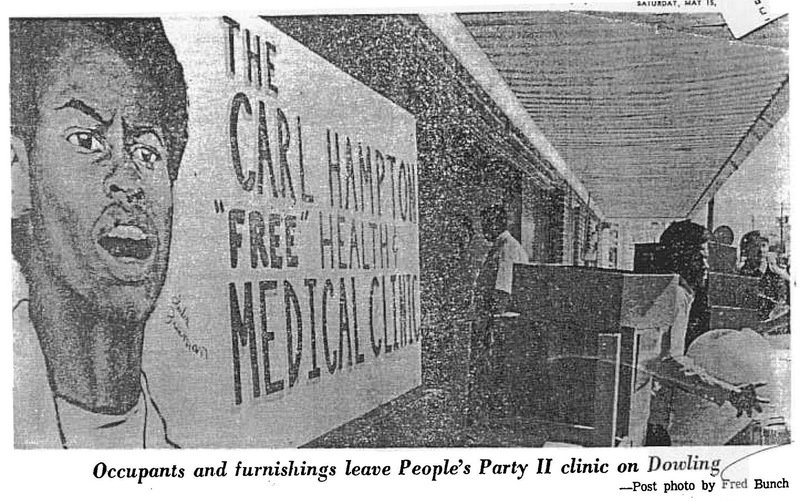 The Black Panther Party knew that white America would not care about reversing black genocide with advancement technologies in black healthcare that would prevent the spreading of the Sickle Cell Disease. The Black Panther Panther Party started the People’s Sickle Cell Anemia Foundation in order to begin research that is truly in the interest of the Black people to someday find a cure for this deadly and menacing disease. The World Sickle Cell Foundation (WSCF – http://www.WorldSickleCellFoundation.com) has partnered with Black Doctors Matter (www.BlackDoctorsMatter.com) and the National Juneteenth Medical Commission (NJOF – http://www.njof.org) to bring much needed advocacy to the racist treatment of sickle cell anemia patients. The “19th of June” – JUNETEENTH, has been declared World Sickle Cell Day by the United Nations. Sickle Cell Anemia (SCA), throughout the diaspora needs to be addressed because the maafa of black genocide continues in America.